Method recommended by Coolpad and the carriers. Unlock your Coolpad phone for the lowest price. Permanent and maintains the phone's warranty. Safely unlock your Coolpad phone online. How to unlock my Coolpad phone with doctorSIM? Once you've requested your unlock code through doctorSIM, you'll shortly receive an e-mail with simple instructions on how to insert the code. Follow the instructions carefully to unlock your phone. In just a few minutes, you'll have your Coolpad permanently unlocked! How much does it cost to unlock a Coolpad phone? Permanently unlocking your Coolpad with doctorSIM is very economical and you can check our current prices by selecting the phone's country and network provider. Keep an eye out for our regular promotions with discounts of up to 45% on our website. Our first-class customer support team is available to answer any questions you may have. We have also invested heavily in quality controls and certificates guaranteeing the personal information you provide is secure at all times. Can I use a Coolpad phone on any network in the world once unlocked? Yes. Once you've unlocked your Coolpad, you will be able to use your phone on any compatible network in any country. Moreover, you will never have to repeat the process as the phone will never relock in the future. Do I need to know the exact model of my Coolpad smartphone? As the instructions on how to insert the unlock code are the same for all models, you don't need to state the exact model of your Coolpad. The code you receive will depend on the IMEI number (unique identifier), so double check you send us the correct IMEI by typing *#06# on the phone's keypad. However, if you need to find out the model of your Coolpad for any other reason, we recommend using our Coolpad phone model finder. 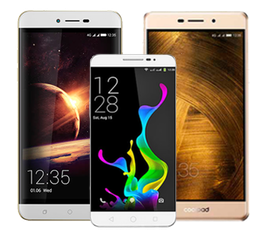 What is the time frame for unlocking a Coolpad phone? The guaranteed delivery time will be displayed once you have selected the Coolpad phone's country and network provider. You will also be able to see the average delivery time of the last 20 unlock requests once you have filled in the information required to process your unlock code. Can doctorSIM remove my Coolpad phone from the blacklist? The blacklist is an additional security measure which cannot be eliminated by unlocking the phone. A blacklisted phone will not work properly in the country of origin of the carrier to which it is locked. If you suspect your Coolpad has been blacklisted due to theft, loss or unpaid bill, we recommend contacting your network provider. Once you've done that, you can unlock your phone with doctorSIM. Check the status of any Coolpad now to remove any doubts you may have. Will I get my money back if you cannot unlock my Coolpad phone? In the rare event your Coolpad cannot be unlocked for any reason under our responsibility, we will return your money. However, due to the unlocking process being fully automated we are unable to issue refunds if any of the information we receive on your phone is incorrect. Double check all details before requesting your unlock code. You will be able to use your Coolpad with any network carrier. You will not lose your Coolpad's warranty. You can continue to use your cell phone during the unlocking process. Fast unlock code turnaround (within minutes to a few business days). Unlock codes and step-by-step instructions delivered 24 hours a day, 365 days a year. Customer service available by e-mail and chat.